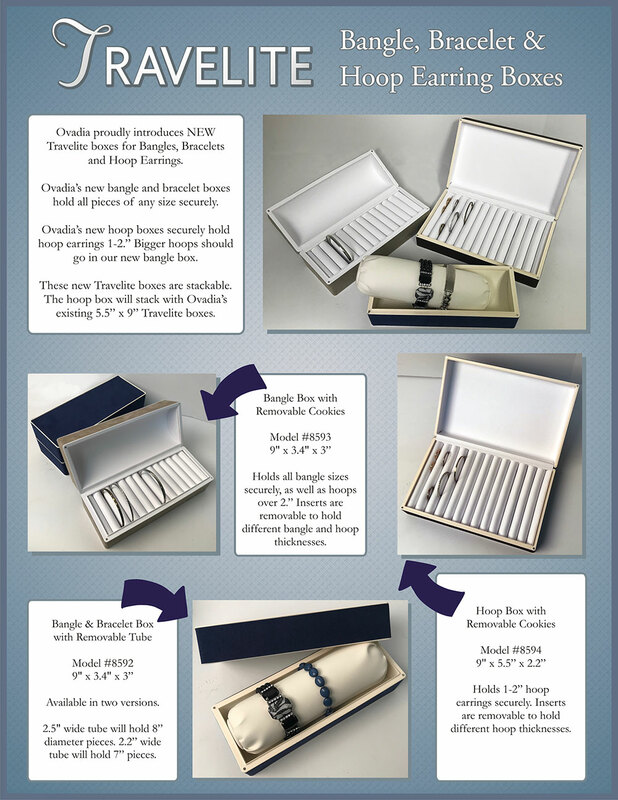 Ovadia is proud to introduce its latest Travelite boxes. Made to hold ALL bangles, bracelets and hoop earrings, these boxes will complement your existing Travelite displays while offering greater flexibility to securely transport your entire line. Trust Ovadia and the Travelite line to provide the tools you need to sell your jewelry anywhere. 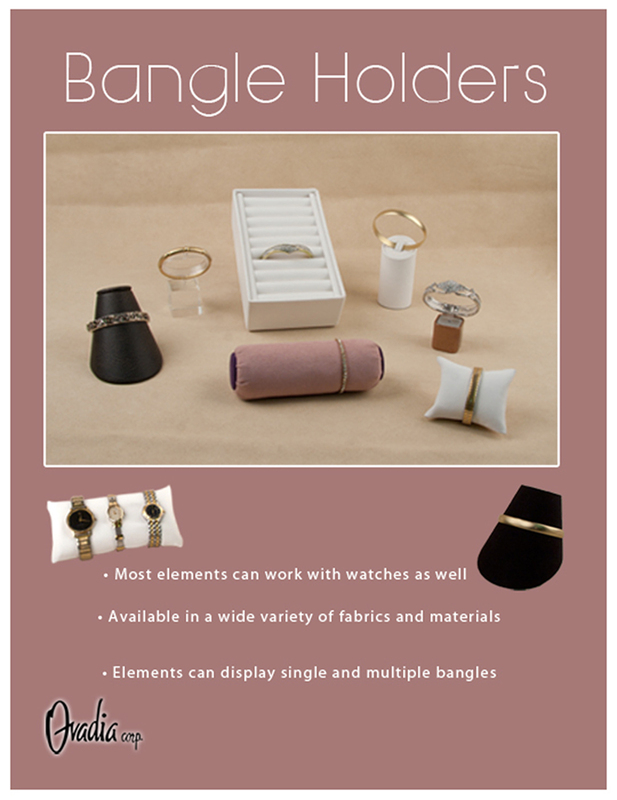 Bangle Box with Removable Cookies Model #8593 - 9" x 3.4" x 3” Holds all bangle sizes securely, as well as hoops over 2.” Inserts are removable to hold different bangle and hoop thicknesses. Bangle & Bracelet Box with Removable Tube Model #8592 - 9" x 3.4" x 3” Available in two versions. 2.5" wide tube will hold 8” diameter pieces. 2.2” wide tube will hold 7” pieces. Hoop Box with Removable Cookies Model #8594 - 9" x 5.5” x 2.2” Holds 1-2” hoop earrings securely. Inserts are removable to hold different hoop thicknesses.